Shadow Tripcaster is a Weapons in Horizon Zero Dawn. 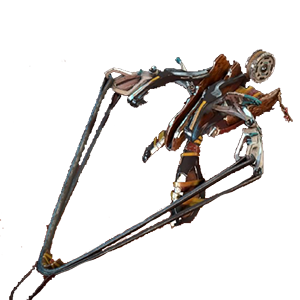 This weapon creates traps which detonate when the tripwire connecting two anchor points is broken. It is best used across enemy patrol paths or in narrow spaces. Can be modified. Traded to the Hunting Goods Merchants once you reach Meridian.